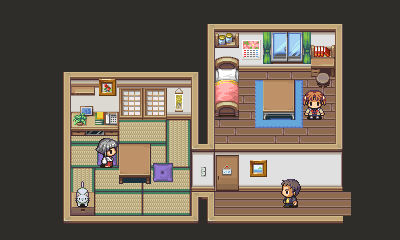 3DS RPG Maker seemingly headed westward. The Australian Classification board has rated RPG Maker Fes for 3DS. It is published by NIS America. RPG Maker Fes launched in Japan on November 24, 2016. The 3DS title allows players to create their own role-playing games and share them online for other users to download. Users who do not own RPG Maker Fes can download an RPG Maker Fes Player free of charge from the Nintendo eShop to play user-created RPG Makre Fes titles. Read up on our past coverage here. NIS America is holding a press event on February 17, where it has teased new PS Vita, 3DS, PlayStation 4, and Steam game announcements. RPG Maker Fes will likely be officially announced during the event.